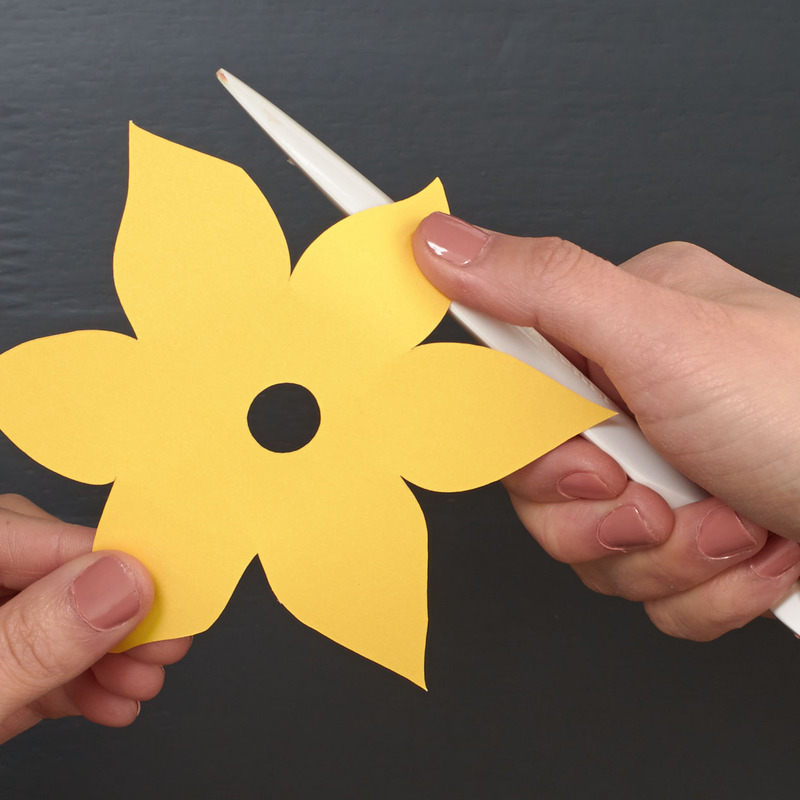 Yesterday was the first day of spring, and nothing says “springtime” quite like flowers! 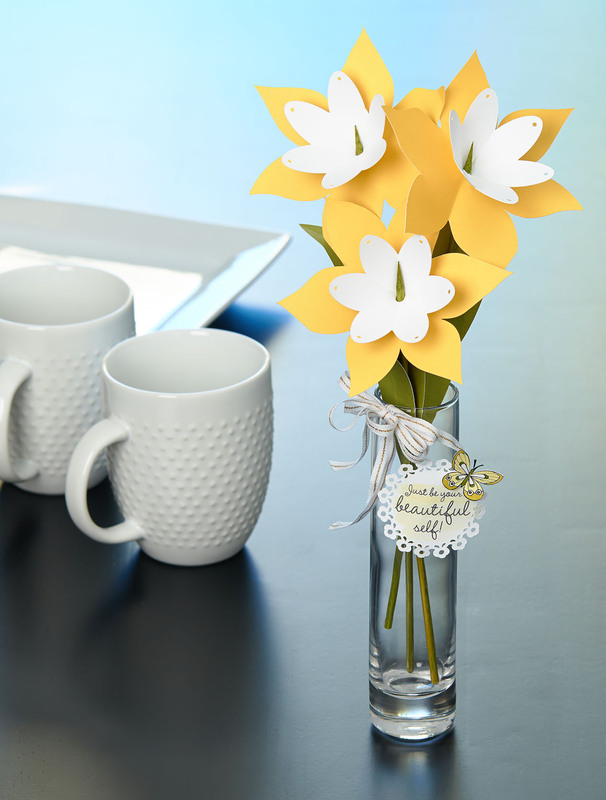 Today we’re going to show you how to make some beautiful paper daffodils to place in your home, on your desk at work, or to give as a gift! 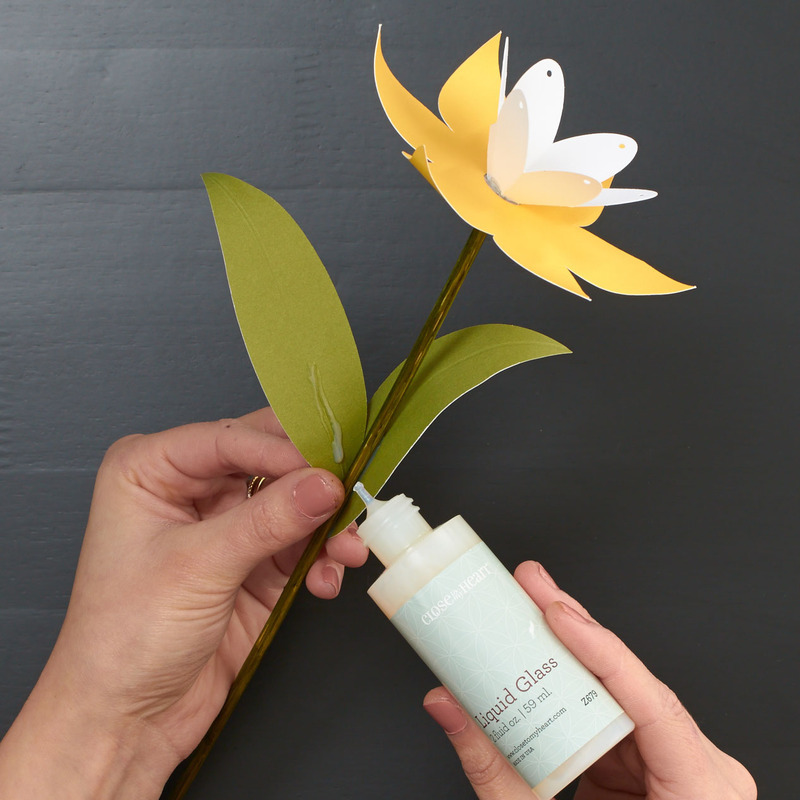 Step 1: Cut leaves from the petals of the Fern flower. 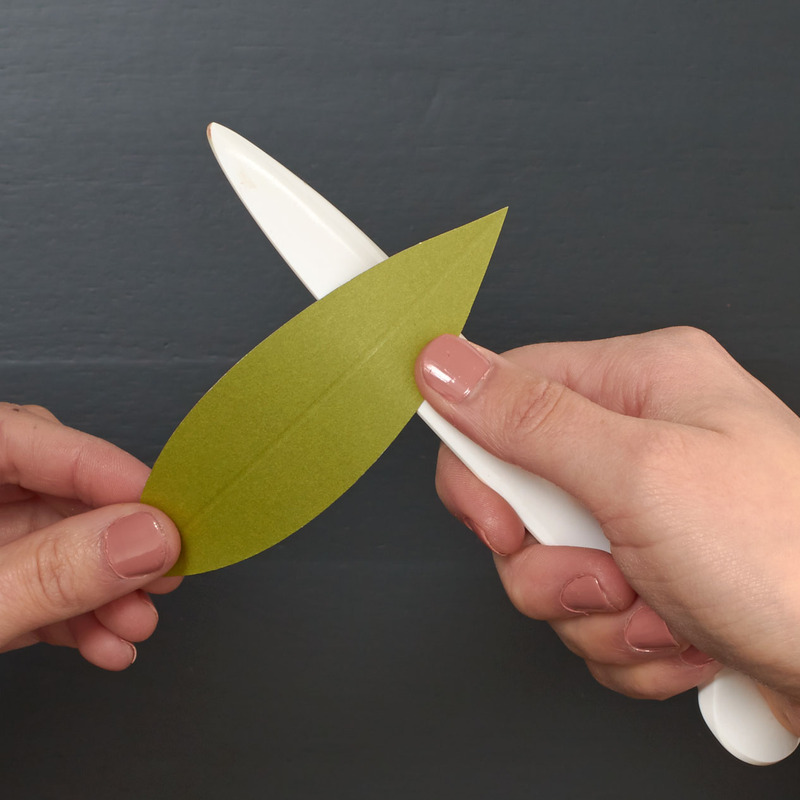 Step 2: Using a bone folder, score the center of each leaf to form a vein. Then slightly curl each leaf. Step 3: Using a hole punch, punch a hole in the center of each white shape. 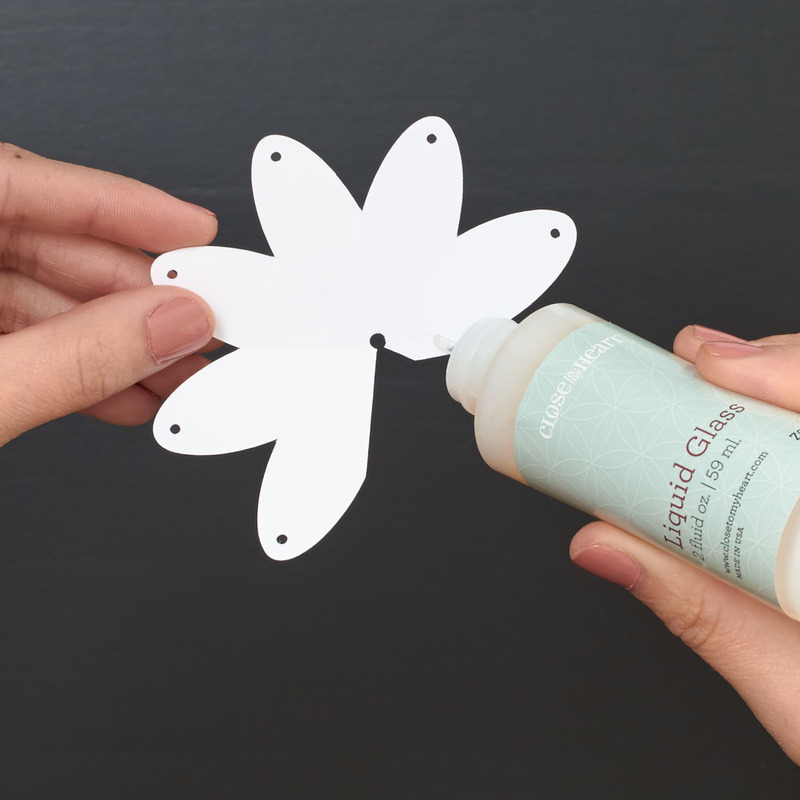 Step 4: Using Liquid Glass, attach the flap on the White Daisy shape to the backside of the next petal to form a cupped flower shape. Repeat for the remaining two White Daisy shapes. 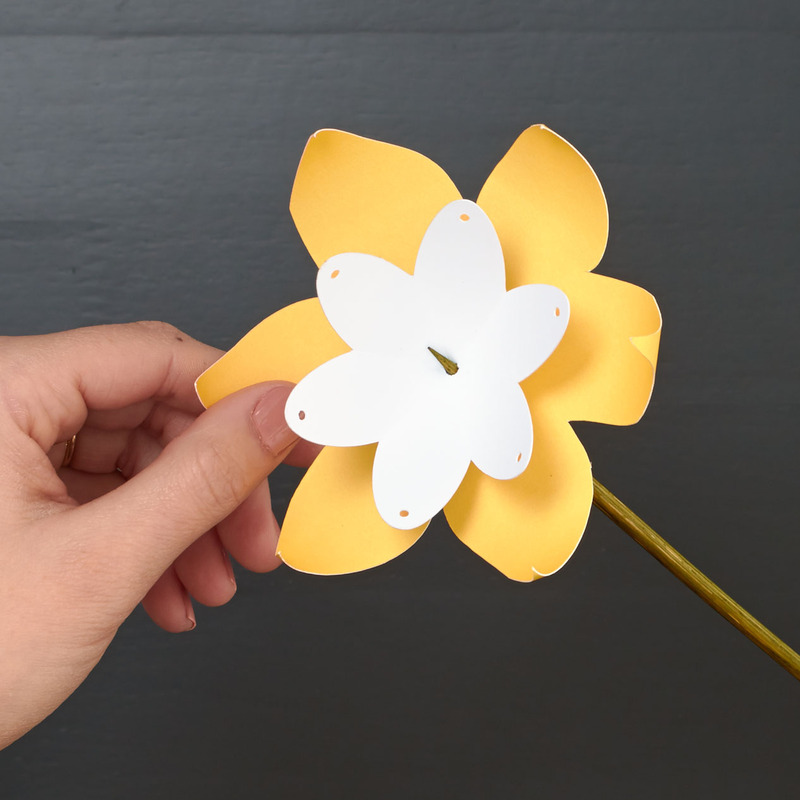 Step 5: Using the bone folder, gently curl the petals of each Canary flower so they curl slightly toward the center of the flower. 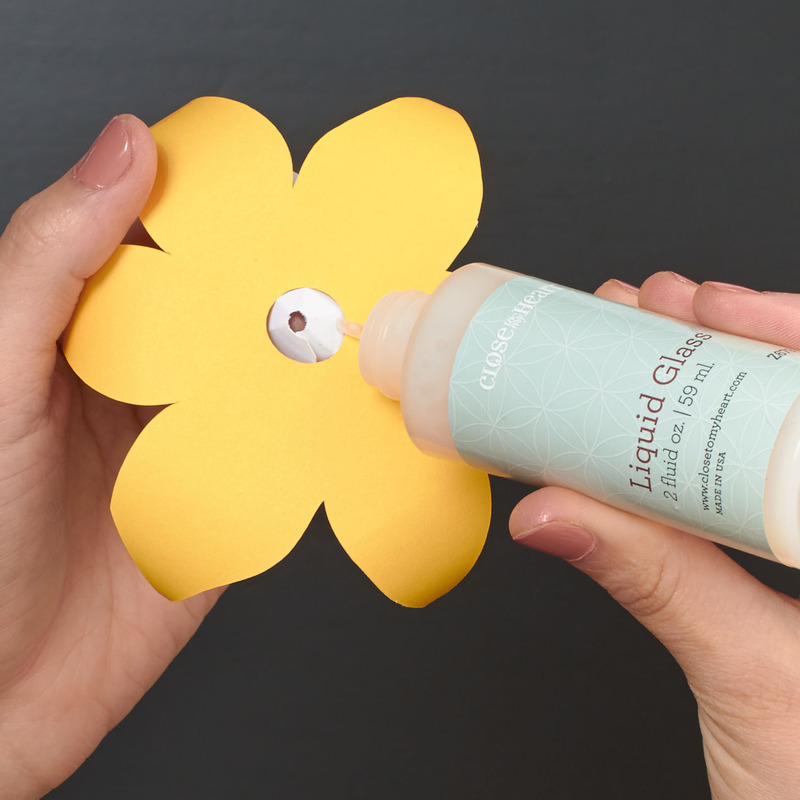 Step 6: Attach the White Daisy flowers to the center of the Canary flowers using Liquid Glass. 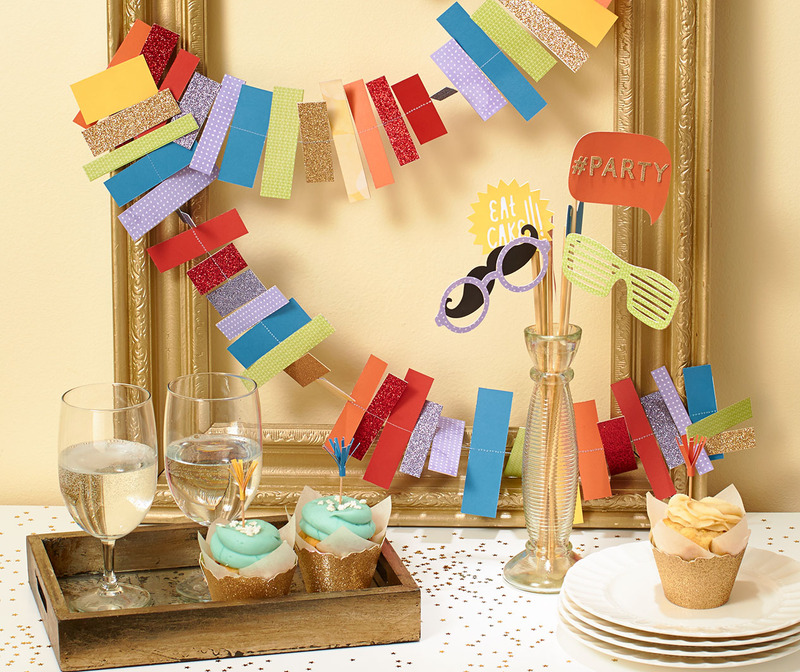 Step 7: Using the ShinHan™ Touch Twin™ Sap Green marker, color the wooden skewers. 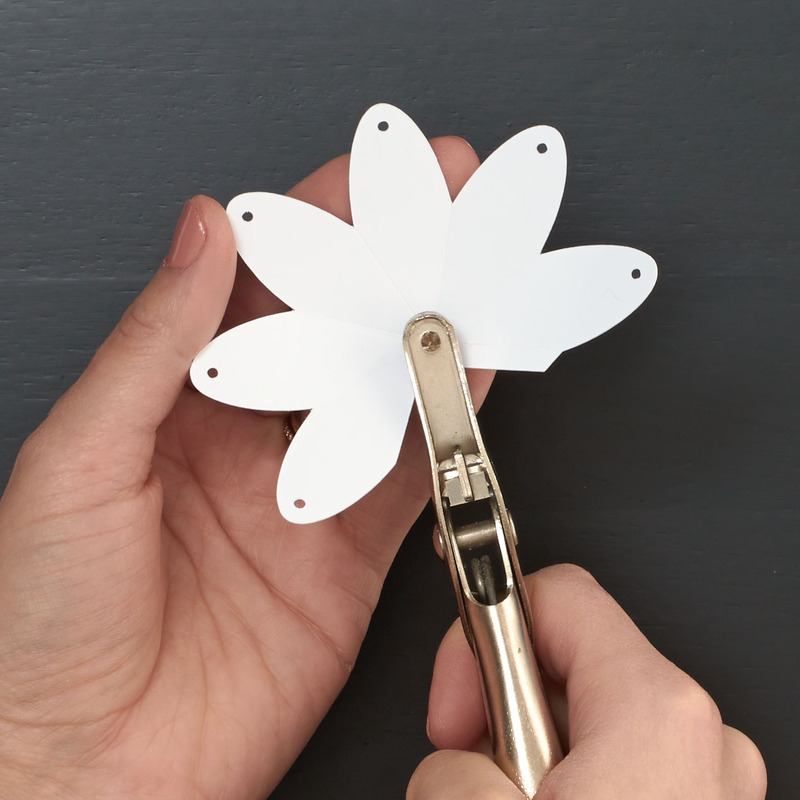 Push the pointed end of a skewer up through the center of one flower so about ¾” of the skewer is showing through the center, and attach to the flower using Liquid Glass. Repeat for each flower. Step 8: Attach leaves to the skewers using Liquid Glass. 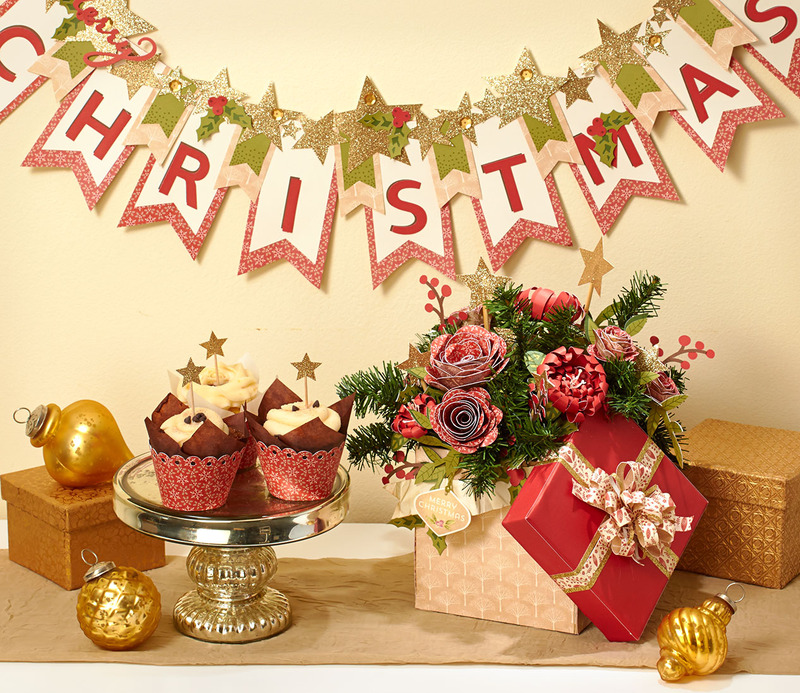 Now you have a beautiful bouquet that will last all year long! 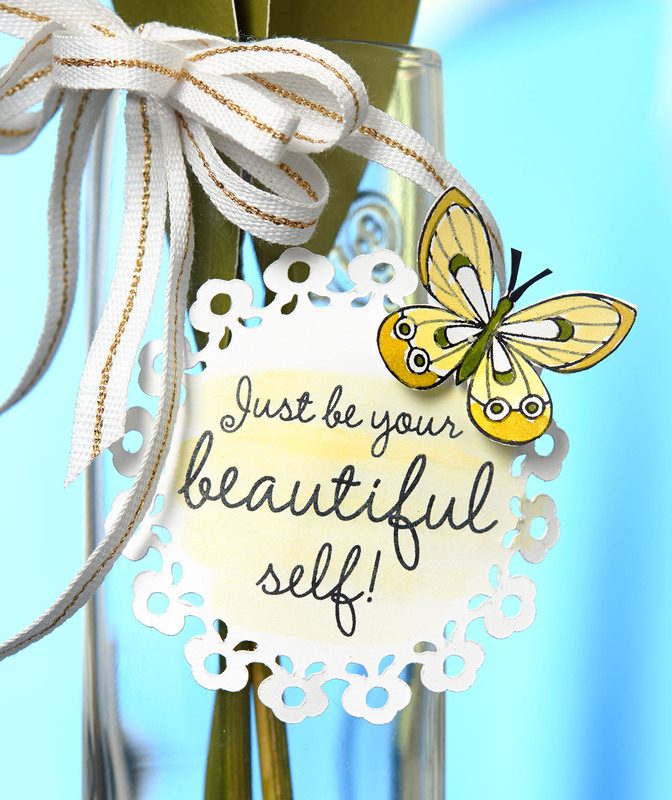 You can also embellish your vase a little bit. We chose to add a fun ribbon and a tag to ours. We hope these flowers brighten your day and get you excited for springtime. Tell us in the comments below what your favorite flower is! 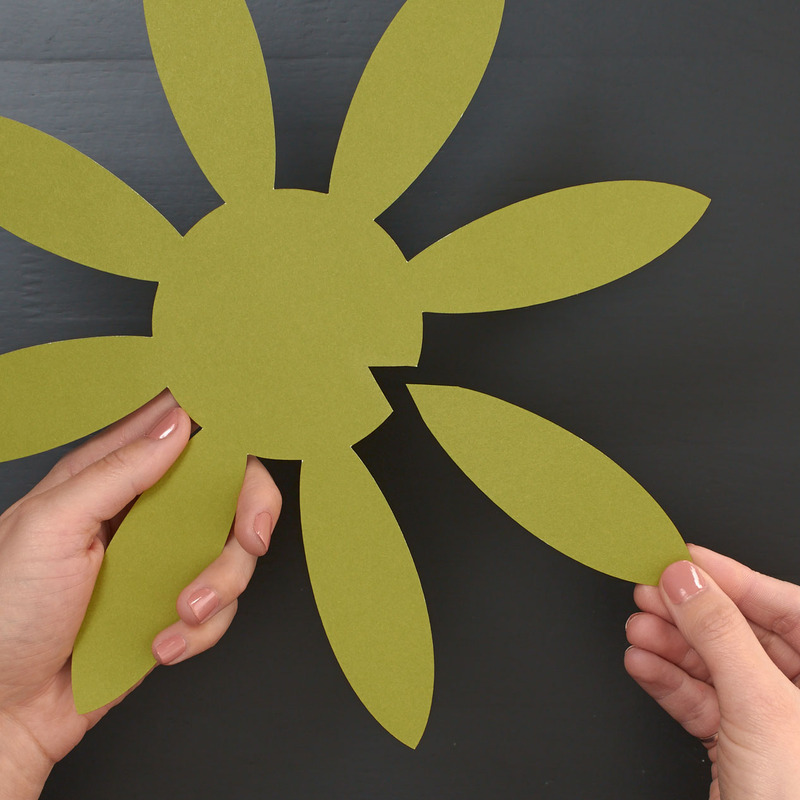 *All Cricut® shapes should be cut using Real Dial Size.